Looking for some experts who might want to share their knowledge on Mizuno Persimmon Woods. The one I have has quite some face-height and a nice persimmon grain. It has a DG R-400 shaft on it and Golf Pride V-2000 full cord grip. 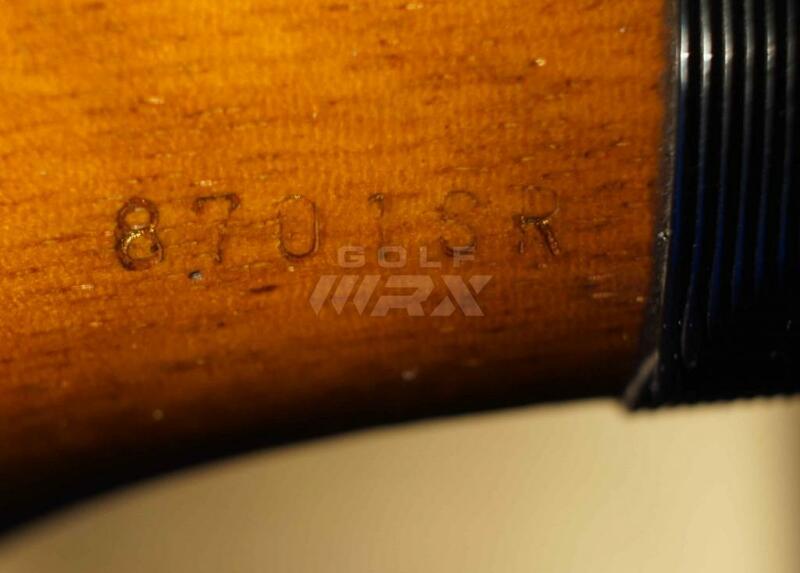 There even is a serial number on the neck of the club-head, which I read as „ 8701SR“. See picture attached. Would it be possible to derive a manufacturing date – or place of manufacture – or where (which continent) sold originally – from this? From what I know, Mizuno had at one time Nick Faldo to play their clubs. Could the driver that we have here be from this time-frame? I would imagine that was made around 1988-1991. Thats about when the Tour Proven name was used. I don't know if Faldo ever used a Mizuno driver, but I suspect he did maybe for a short time. He used a MacGregor M85 during his prime with TP irons. Thats a solid looking block, great face profile, really great grain, probably belonged to a Pro. Freddie - do you have any scans from ads or catalogues for the Maxfli Tour Ltd CB irons? The lead "87018 R" stamped in the neck was my guess....Great Ad find! Looks like someone did some contract work for Mizuno..... Those Exsar Gold Graphite shafts were hot! In nearly everyones Driver at the '87 Buick Open. Cleveland? Louisville Golf? Joe Powell? Rex - what makes you think that Mizuno didn't make those themselves? Thank you, freddiec for your fast answer and your friendly comments on the club. Makes me all the more sadder that it is true what Mizuno said in this old ad: “...with the better golfers in mind” - which obviously I am not. Cannot really hit this thing any good – maybe the DG R-400 shaft does not fit my abilities. I am better at hitting the old Ping “Eye 2” or “Zing” laminated woods – heads are a bit larger, too. Posted the photo in an earlier thread. Tad Moore has commented on these irons.....RH Only. Mizuno had opened up a large plant in the US during this period, and had a lot of Tour presence with their van. 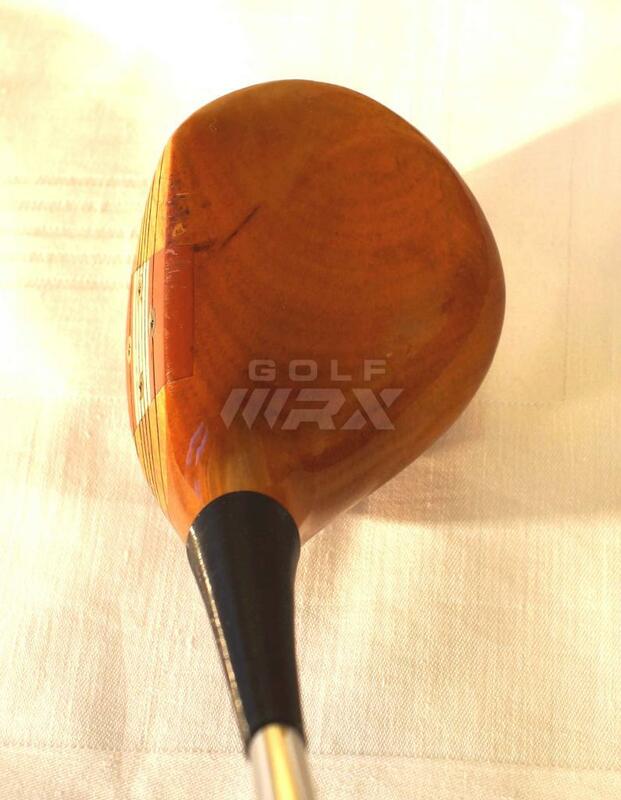 *Flash* Mizuno most likely got the high quality persimmon heads, with such tight, even grain, from Kensai Golf of Japan, who also did work for Cleveland at the time. 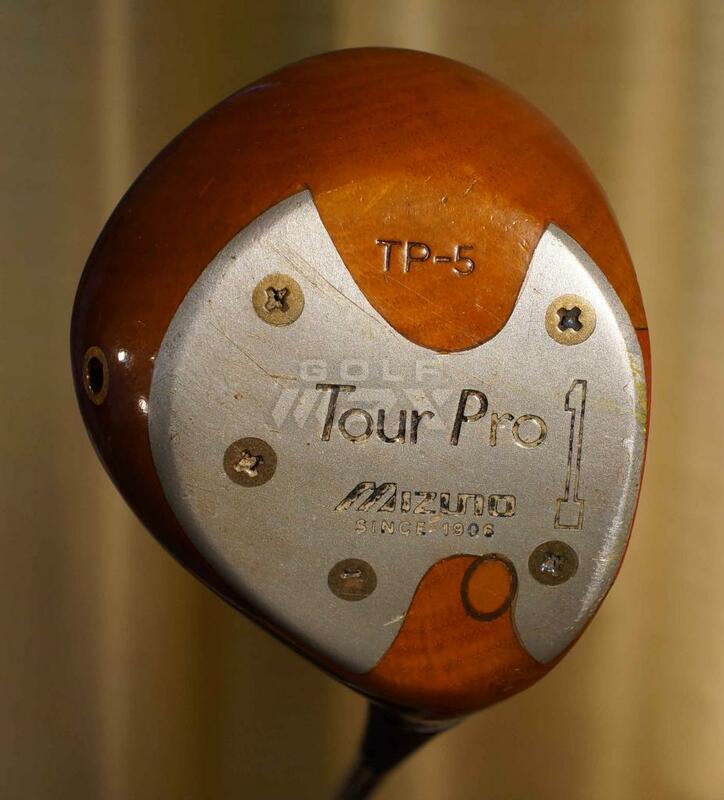 The above is likely the connection, so Mizuno likely did the work, but compare the Mizuno TP-5 back weight port to the one found on the Cleveland Classic TC-15! Mizuno also put a lot of Exsar Gold Shafts in Drivers used on the Tour during this period. AFAIK Mizuno timber was made in Japan, same as Honma. Superb woods. 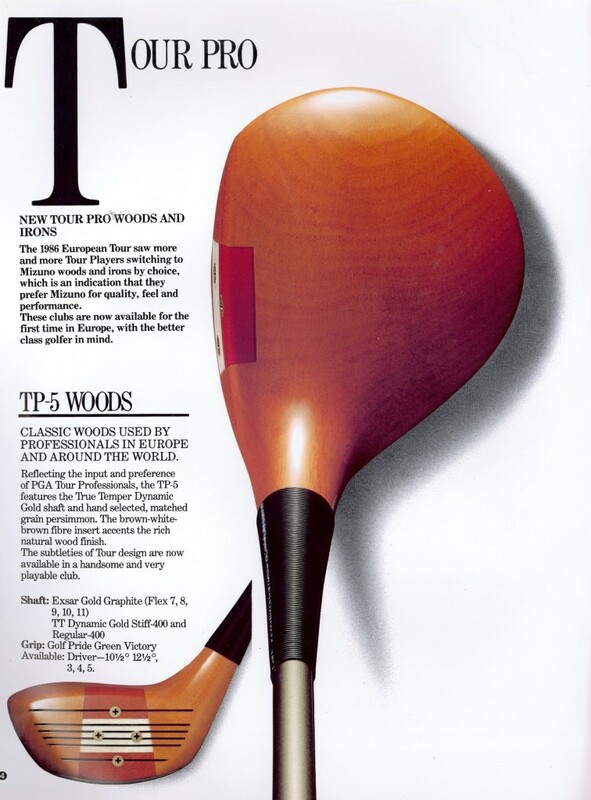 Their original UK release woods had carbon inserts and were hugely popular. They did Penna and MacGregor a lot of harm as their QC was much tighter. I Recall a local Tour Pro having some custom drivers with the flex 11 shaft. It was a serious hook fighter. Anyway, as I cannot hit it any good, I have decided to put it into the bay over here in Germany , ...de. I used those back in the day. 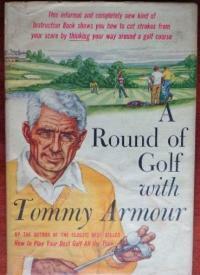 Mizuno was generally considered to use quite young persimmon which was lighter in colour than MacGregor. 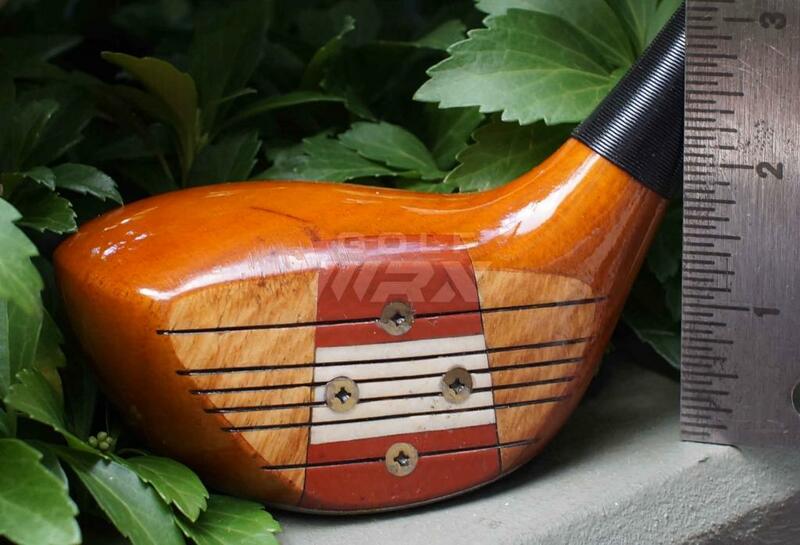 It meant they often suffered from bits of wood chipping either side of the insert, especially if used in the wet and left in a wet headcover. We used to have to clean the chip out and then form a piece of Araldite epoxy as a fix. The MacGregor keyhole was considered to be the king of persimmon then.